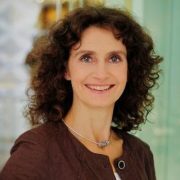 Dr. Gesche Grützmacher is a trained Geologist and obtained her PhD at the FreieUniversität Berlin (FUB) in 1999. Before starting to work for the Berliner Wasserbetriebeher work focused on research in the field of natural drinking water treatment at the German Federal Environmental Protection Agency (Umweltbundesamt, UBA) and the Berlin Center of Competence for Water (KWB). Dr. Grützmacher was leader of the European WssTP (Water Supply and Sanitation Technology Plattform) Task Force on Managed Aquifer Recharge. Since February 2014 GescheGrützmacher is responsible for the water resource management team in the drinking water department of the Berlin Water Supply company (BWB), where her focus is on groundwater resource management in quantity and quality.